A fantastic look at the artwork and style of glam – the movement that's usually known best through its big musical proponents – who include David Bowie, Roxy Music, and T Rex! 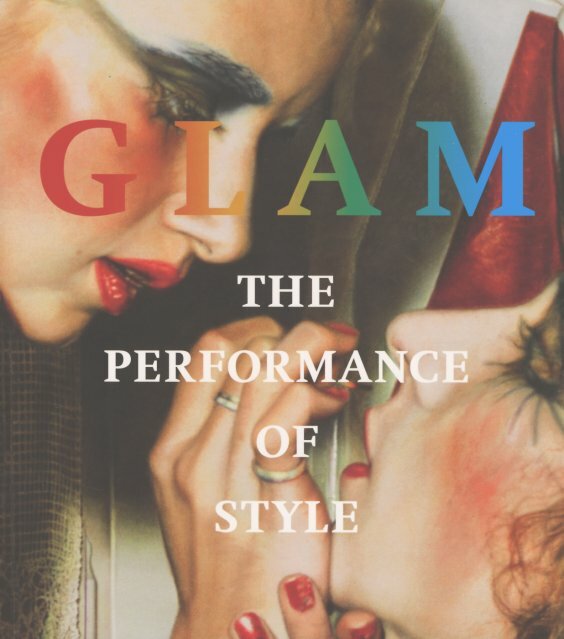 Yet glam was way more than just a few fuzzy hit records in the early 70s – as the book traces a legacy that begins with Warhol and pop art in the 60s, then moves through a love of European trash later in the decade, to a point when glam allowed so much great interplay between then-opposite poles – high and low, male and female, straight and gay – and many other territories that were easily criss-crossed by the movement. The book was put together as part of a big glam exhibition at the Tate in London – and features writings by Simon Reynolds, Mike Kelly, Judith Watt, Neil Mulholland, and others – alongside some really fantastic photos – artwork, record covers, publications, and hundreds of other striking images from the time. The back even features a great glam timeline – showing the evolution of the genre in different forms from the 60s onward – and the whole thing is softcover, 160 pages, and full color throughout. © 1996-2019, Dusty Groove, Inc.